Many aspects of life can affect the integrity of your health such as stress, trauma, sports injuries, car accidents, and so on. These elements of life can cause pressure to be put on your nervous system blocking the flow of nerve impulses throughout the body. This disables the body to function properly causing severe illnesses and serious health disorders. Chiropractic care relieves this pressure by the use of gentle adjustments that not only relieves symptoms but also corrects the cause of the disorder. At West Coast Sports and Fitness Center our approach is to properly evaluate every patient to determine the root cause of their pain, stress or discomfort. Just like a dental exam a chiropractic checkup is useful to ensure the nervous system is free of stress allowing you to experience greater healing and wellbeing. 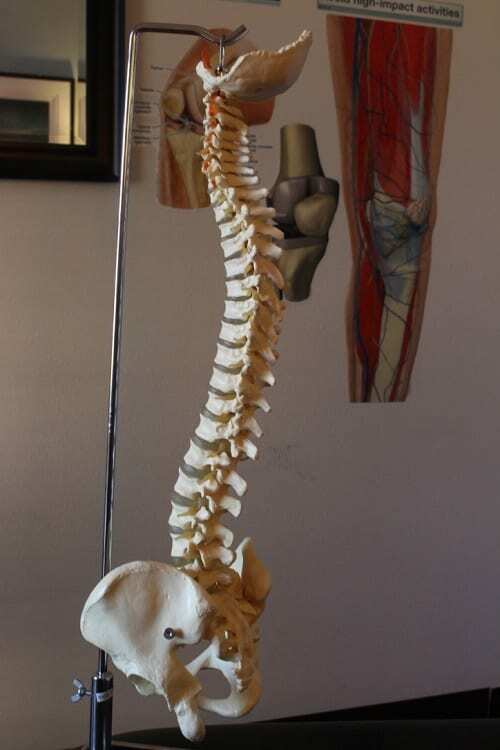 Our Chiropractor uses a Diversified Adjusting Technique. With a sports background, many patients come in with a wide range of injuries. Chiropractic care through the use of adjustments, manual therapy, laser therapy, myofascial release, and stretching and exercise therapy has been shown to improve musculoskeletal conditions of the entire body. In the world of Medicine, doctors will jump to push pills to mask your symptoms and pain. Why not get to the root of the problem by removing the stress in a natural, safe, and healthy way.